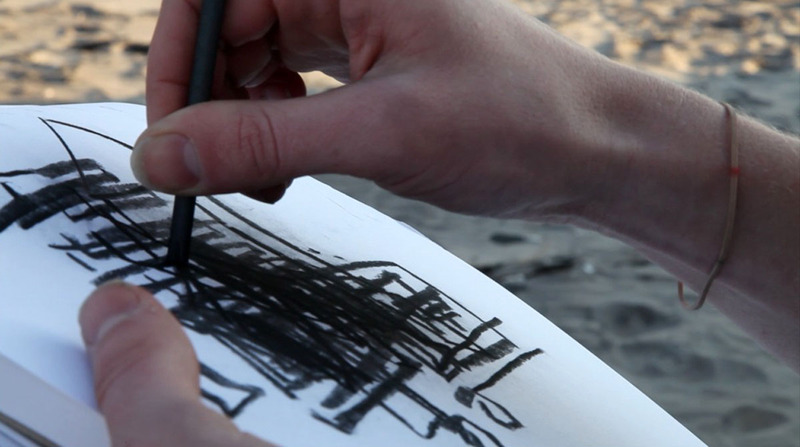 Relics is an installation that utilizes two video channels and two charcoal drawings. The videos depict surreal settings in Breezy Point NY; two weeks after Hurricane Sandy, along with scenes inside a sterile space displaying fragments from a windup clock. 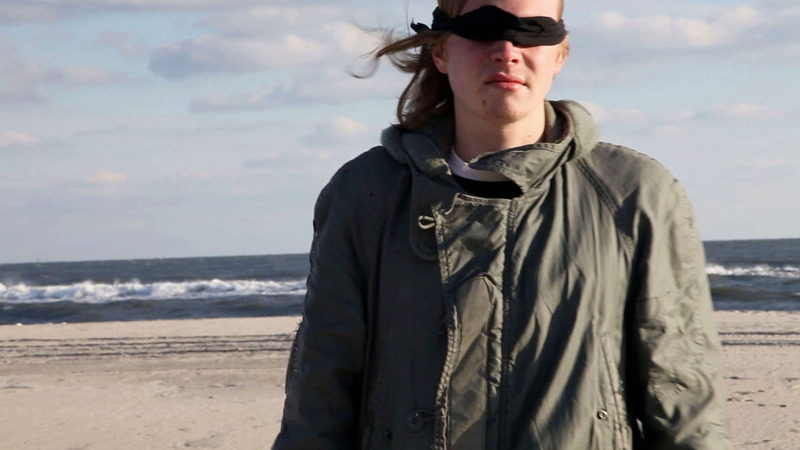 Within both spaces, a blindfolded character is present, and is forced to observe the cross sections of a clock and the debris of the Rockaway’s through an unfamiliar lens. He is then instructed to make blind drawings of the object and the space, resulting in two maps that reshape his perceptions of time and landscape. My work observes visual perceptions within institutional frameworks. I combine video and performance to simulate situations, where my performers are assigned a specific role, forcing them to step into a space that alters and forms and extension of their realities. 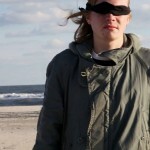 I set the stage by utilizing blindfolds and literature to impose an unknown visual network, while observing instinctive reactions from my performers as they complete the given task. I am interested in the individual as a singular component, a factor that holds a voice and ultimately contributes to a larger picture, a collective. My work is driven by tensions within power structures and human experience, how specific contexts dictate perceptions and identities in relation to the social formation of people that shape an environment. 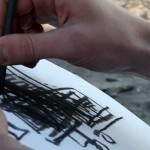 Quintet (clip), two channel video, 18mins 22secs, 2011. By Danny Carroll on Vimeo. Quintet examines our senses and how they are activated through the loss of vision, how ones place and experience in a group alters. The artist leads four participants through a series of meditative sensory exercises, where they are simply told to interact with the space and each other. This piece begins as an attempt to train and condition the performers to communicate and work together, but results in an improvised dance. By exposing their individual vulnerabilities, the four begin a conversation concerning individual roles in the everyday outside life, when given the power of eyesight.